I love painting people! And Patricia Weerakoon is no exception. 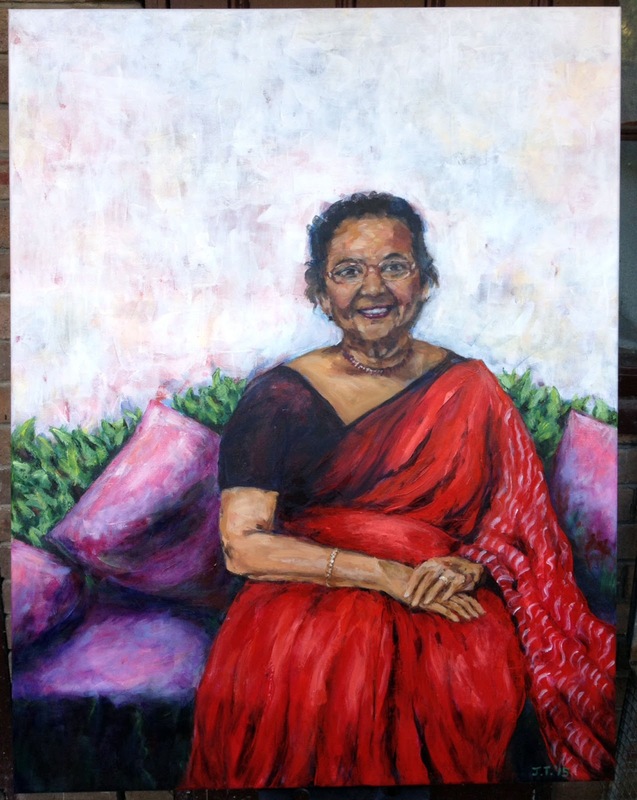 In fact, we had a lot of fun together as I prepared my portrait of her for this year's Archibald. We had a couple of sittings and it was lovely to get to know her better over this time. In the second sitting she managed to hold a smile (on and off) for over an hour and a half while I painted her! ...no wonder her grin is so bright in the picture.